Developers have applied to build 139 GWac of large-scale solar projects in the territory of six grid operators – around five times what is currently online across the country – and that figure doesn’t even cover the entire United States. By any metric, we are looking at an unprecedented boom in solar development over the next five years. Some of it is the pending drop-down of the Investment Tax Credit from the end of 2019 through the end of 2023. Some of it is a series of decisions by states, cities and corporations to decarbonize their electricity supply, and to use solar as a main means of doing this. And some of it is the continual decline in PV system prices, which makes large-scale solar the cheapest form of new generation in much of the United States. But whatever the cause, there is an unprecedented, massive volume of solar projects that is underway in the United States. Research conducted by pv magazine USA has uncovered more than 139 GWac of solar projects which have applied for interconnection with six grid operators (CAISO, NYISO, ISO-NE, MISO, PJM, ERCOT) by the end of December 2018, spanning the Northeast, Midwest, California and Texas. For perspective, Wood Mackenzie estimates that there was only 34 GWdc of large-scale solar online at the end in the third quarter of 2018. When you convert that figure to AC power, it means that the new capacity being considered is around five times as large. There are other reports looking at upcoming capacity, and they do vary greatly – which ought remind us all that much of what is in a queue won’t move forward. ISO New England estimates that 70% of the projects in its queue never see the light of day. However, more than 15 GWac of solar projects in these six grids either already hold interconnection agreements, or have entered the engineering and procurement phase. * The largest portion of these is in California, but there are also more than 4 GWac of projects in Texas that hold interconnection agreements. Our investigation showed solar project development going truly national. In fact, the California Independent System Operator (CAISO) grid has a smaller volume of solar projects in its interconnection queue than the Midcontinent System Operator (MISO), Electricity Reliability Council of Texas (ERCOT) or PJM Interconnection, each of which have more than 32 GWac of solar projects in their queue. Unlike California, the large majority of project volume in all three has been proposed in 2017 and 2018 and these regions had all seen limited large-scale solar market development until a few years ago. It is important to remember that these grids don’t cover the entire United States, and as such this 139 GWac does not include projects in the majority of the South, Mountain West, Pacific Northwest and Plains States. And we aren’t seeing these massive projects only in databases, either. As documented in pv magazine USA’s year-end coverage, we have found large solar projects either planned or under construction in 17 states that have not had substantial solar markets to date. The signals of a boom to come in the U.S. solar market is reinforced by other data sources. The Federal Energy Regulatory Commission’s (FERC) monthly Energy Infrastructure Update(located under Energy Infrastructure tab) gives estimates of future capacity, and the latest report shows 63 GWac of proposed solar project additions before the end of 2021. 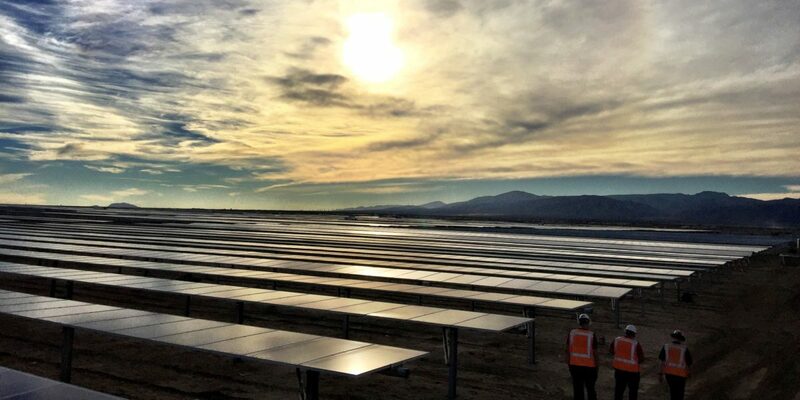 A quarterly report by Stephanie Tsao and Ellen Meyers of S&P Global Market Intelligenceestimates that the U.S. utility scale solar project pipeline through 2022 has expanded to 33.9 GWac. In these estimates by S&P, grid operators reports and FERC, we are only talking about large utility-scale projects. These numbers do not include smaller systems such as rooftop solar either on the homes or businesses of utility customers. Data from other projections suggest that another 4-5 GWdc is coming from residential and commercial solar combined. Adding that volume to the S&P projections with a DC:AC ratio of 1.25:1 applied, suggests that the United States might build 18 GWdc of solar power in 2019, and just over 19 GWdc in 2020. The six grid operator queues we investigated also showed more than 16 GW of battery projects which have filed for interconnection. And this number should not be too surprising to anyone who is watching the meteoric growth of energy storage. Per the US Energy Storage Monitor, from Wood Mackenzie Renewables & Power along with the Energy Storage Association (ESA), total energy storage deployed expanded by 60% in terms of energy and 300% on a power basis in the third quarter of 2018 versus the prior year. Going out mostly until 2023, the report noted that the front of the meter pipeline expanded to approximately 33 GW of power. The next five years are going to be truly massive for solar and energy storage. Hold on to your seats. *Editor’s note: PJM Interconnection did not have a list of projects with interconnection agreements, but did list projects which had entered the engineering & procurement stage of development. This article originally appeared on pv-magazine-usa.com, and has been republished with permission by pv magazine (www.pv-magazine.com and www.pv-magazine-usa.com). Breiter Planet Properties is a socially conscious energy consulting firm that has a goal of providing solar access to all. They empower property owners and ratepayers by educating and consulting with them on their best solar options, connecting them to the best solar developer and contractor, and demystify a very confusing and cluttered industry. By providing customers with a personal energy consultant they ensure to create a smooth buying process and provide the best possible customer experience.